The Samsung P1000 Galaxy Tab is barely out the door but Samsung is already making plans to sell 10 million units. These are long term plans of course – even the iPad hasn’t sold that well (yet). The Samsung P1000 Galaxy Tab will be priced around 200-300 US dollars in the States – the final price will depend on the carriers. In Germany, Both Vodafone and O2 will start shipping the Tab next month, with O2 talking up prices of 99 euro initial payment and 27.50 euro monthly payments. We already saw what Vodafone Germany and Expansys plan to charge for the Tab. Check out our hands-on preview of the Galaxy Tab to see what you’ll be getting for that price. We don’t have info on the US data plans, but 3G-enabled iPads start at 629 US dollars and the lowest data plan is 15 US dollars a month for 250MB. 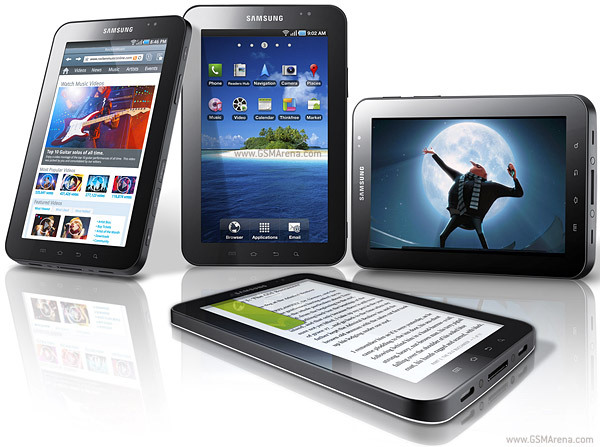 The Samsung Galaxy Tab seems competitively priced – but whether Samsung will reach their 10 million sales mark remains to be seen.